If you are looking to throw a fun birthday party that is also low waste, then an eco-friendly birthday party theme would be fantastic! If you (or even your child) are conscious about being eco-friendly and green, then this is for you. There are so many fun ways to make your birthday party “green”. Let’s find out how! Hosting your kid’s birthday party outside will allow the environment to be its decor. There’s really no need for streamers or balloons if you are consciously making an effort to reduce waste. You can work with what Mother Nature has provided. All you really need is a little bit of imagination and DIY skills! Whether it’s in your own backyard, at a park or at locations that promote being green, you just need to be a little conscious and creative! Recycle and reuse items such as an old truck used as a pot, or even use cuttings to make a name board for the birthday girl or boy! One way you can make sure you are making a difference is to use recycled materials, even for your birthday party invitations. But that’s not all. 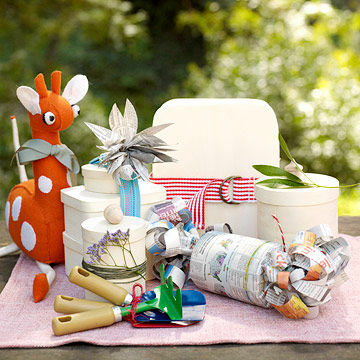 Why not use recycled paper cups and papers for the birthday party too? Bamboo cutlery is also a popular choice. You can also use the likes of old newspapers to make medallion or even puff balls for decoration too. After the party is done and dusted, don’t forget to recycle! TeePees are ideal for creating shade or creating a welcoming environment for an outdoor party. As they are made from cloth and have a low impact on the Earth, it’s a fun choice of decoration that is also cosy. 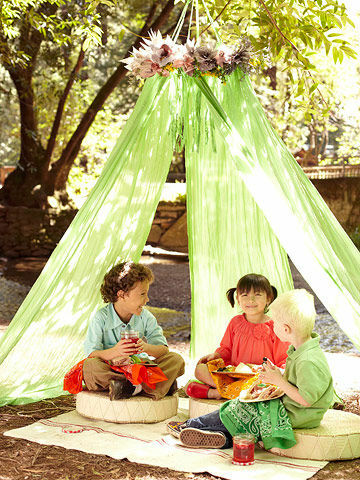 You can also opt to hang a DIY tent made with fabrics from a branch too! Edible favours are great for these kinds of parties; however consider using mason jars as your guests will be able to reuse them to a certain extent. Adding a homemade jam or even bee’s honey would be ideal! 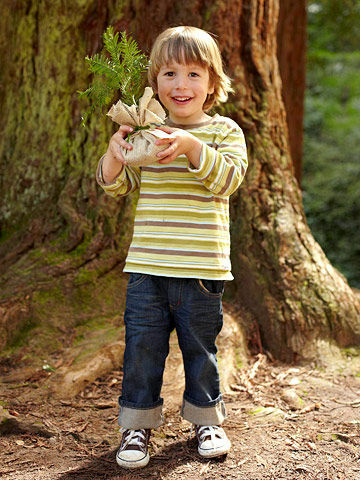 Another option would be to gift saplings of your child’s favourite plant; you can tie it in burlap for a more eco-friendly finish! Mason jars would be ideal for drinks too! Simply pre-make your drinks and have them stored in the mason jars inside an ice bucket. Your guests will be free to pick up a chilled drink. Alternatively, you can also incorporate using mason jars with labels to write their names, where you simply need to pour in the drinks from dispensers or jugs and use it through the birthday party! This entry was posted in Ideas and Inspiration, Party, Invitations and tagged green party ideas, eco-friendly party, party inspirations, blog, birthday party, impressive invitations on September 22, 2015 by Maya.